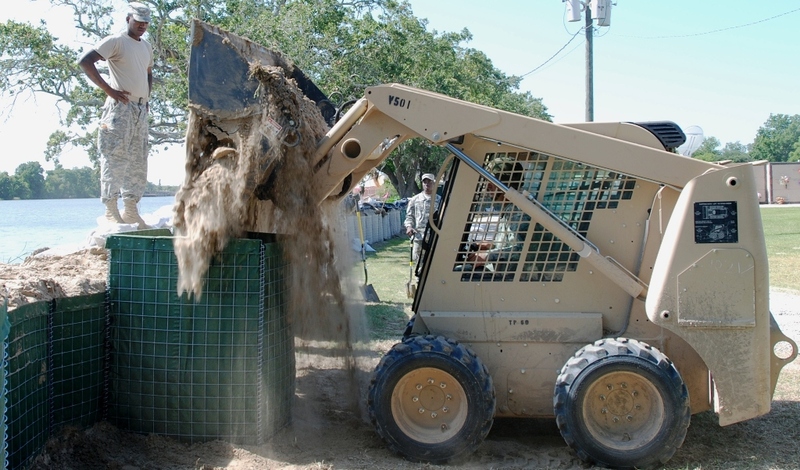 NEW ORLEANS  Soldiers of the Louisiana National Guard race the clock continuing their efforts to protect cities in southern Louisiana from possible flooding following the opening of the Morganza Spillway, May 16. 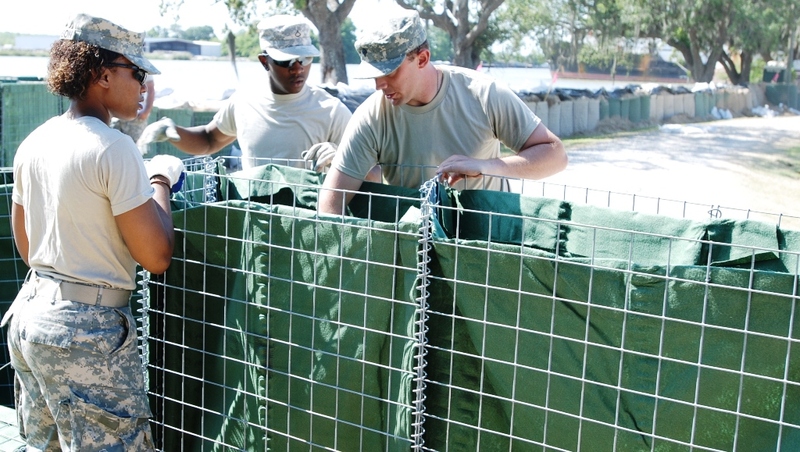 Soldiers from the 225th Engineer Brigade and 256th Infantry Brigade erected barriers of sand-filled HESCO baskets along the river in Amelia to help prevent water from washing ashore and ruining homes. Once the preventative measures are in place, the LANG will continue to monitor the water in case an evacuation is necessary. 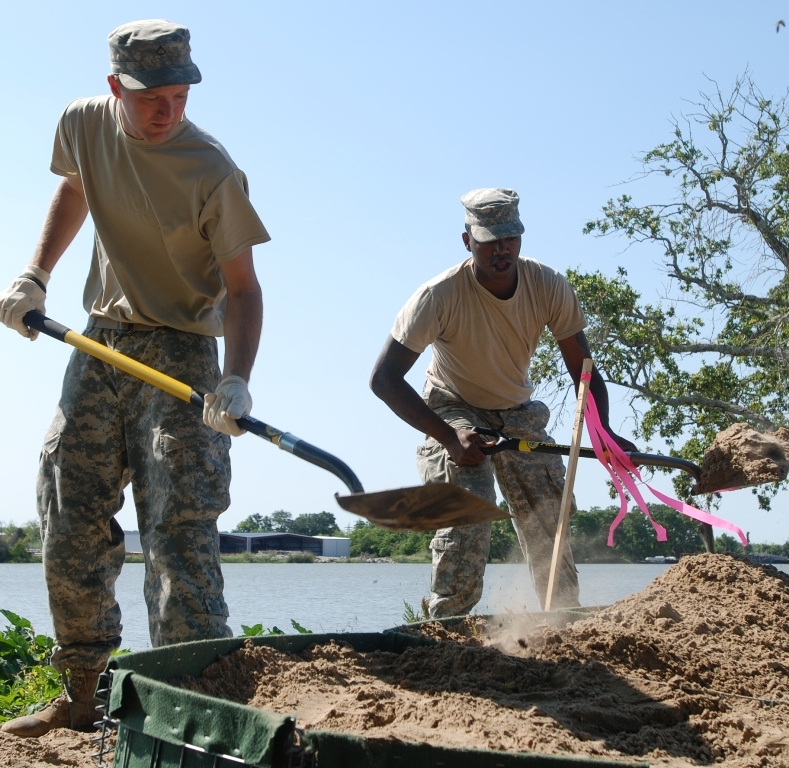 With the water expected to rise following the opening of the Morganza Spillway, Guardsmen are now working 24-hour shifts to ensure that the river banks are properly protected. 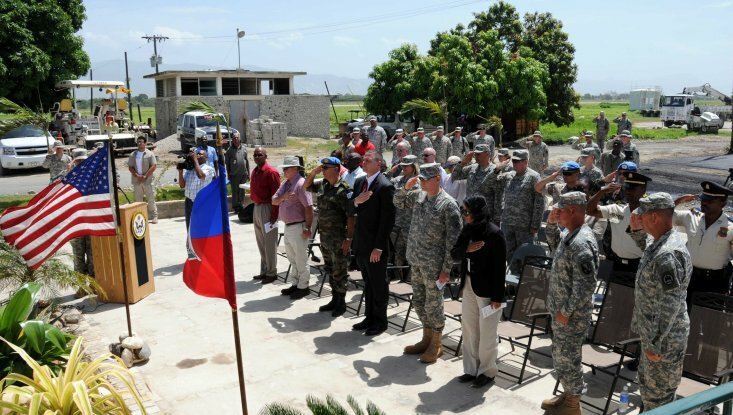 Weve had four storms to hit St. Mary Parish, and the National Guard has been here for every single one, Naquin said. Were very blessed to have them working with us.